Install and upgrade programmable logic controllers for your combustion, food and beverage system. We use programmable logic controller (PLC) programming to integrate new components with the old and keep your systems at peak performance. 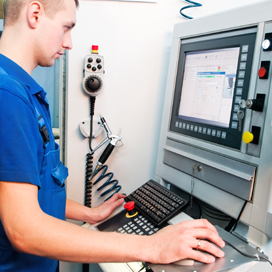 We'll design and build a custom control panel for that new automation system. All panels are UL508 compliant and safely enclosed. 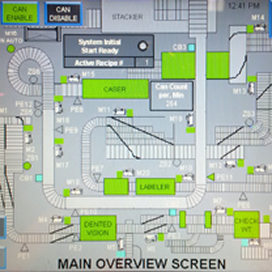 Make your system user-friendly with our Human Machine Interface (HMI) design services for hardware and software. NorCal Automation & Controls provides systems integration services of PLCs, PLC installation, and Human Machine Interface for the combustion, beverage, and food manufacturing industry in the Modesto, California, area. Backed over 10 years of experience, we are here to provide 24-hour service and support with troubleshooting of potential problems that may pop up on your automation system. We strive to provide an unbeatable price and service to businesses. You can turn to us for everything from coding to installing the end device. Our company owner has hands-on experience working at the California State University Maritime Academy in Vallejo, California, specializing in engineering. He worked overseas on ships, learning how to keep them operating smoothly. After college, our owner worked as an instrument engineer and PLC programmer in the combustion field for six years. Here, he developed an understanding of programming and automation before moving on to do integration programming for the food and beverage industry. Programming, automation, and controls are everything to us. We love what we do, and we love providing the best results for businesses.